On the eve of another sham election, Turkmenistan’s rulers aren’t taking the need for change seriously. Have they begun to believe their own propaganda? 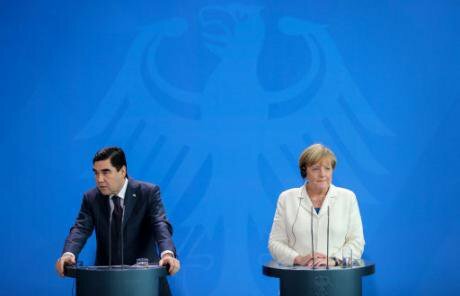 August 2016: Angela Merkel and Gurbanguly Berdymukhamedov give a press conference in Berlin, Germany. (c) Kay Nietfeld DPA/PA Images. 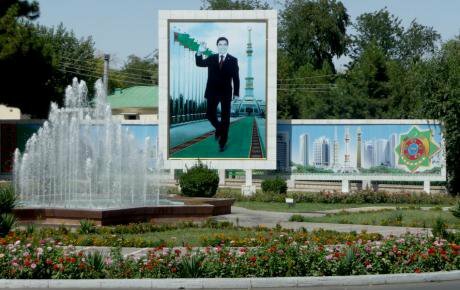 All rights reserved,Should we pay any attention to Turkmenistan’s imminent presidential elections? No political drama is peppering the current campaign, which is predictably shaping up to be unfair competition. Fictional parties and subservient government agencies are fielding eight puppet candidates who, as next Sunday’s vote approaches, are likely to publicly declare their support for incumbent president Gurbanguly Berdymukhamedov. The absence of independent media, the exclusion of opposition candidates and the murky voting procedures empty Turkmenistan’s electoral exercise of any political significance. So don’t expect any nail-biting if you’re following the electoral returns, as Turkmenistan’s ruler smoothly sails towards another triumph. Instead, we are witnessing the culmination of a paradoxical process whereby Berdymukhamedov’s periodic re-elections embody the regime’s need for legitimacy. The outcome might be predictable, but Turkmenistan’s 2017 election is taking place at a uniquely negative juncture in the country’s recent political history. Since 2014, the local economy has been crippled by an unprecedented economic crisis. The regime is manifestly ignoring this crisis while stage-managing Berdymukhamedov’s re-election in a further attempt to preserve the authoritarian status quo. Indeed, it is the leadership’s failure to acknowledge the wider context of this election that, to my mind, transforms this Sunday’s vote into a highly relevant political moment that challenges the fundamental viability of Turkmenistan’s authoritarian model. Beyond this drastic reduction in energy subsidies, the regime has not reacted proactively to the crisis – with the potential exception of a relatively sustained attempt at import substitution. But due to the small size of Turkmenistan’s private sector, this has encountered minimal success despite the support of the IMF. A poster of a jubilant Berdymukhamedov in Ashgabat, Turkmenistan’s capital, 2011. Photo CC-BY-NC-2.0: Valdosilasol / Flickr. Some rights reserved. With the economy in full disarray, the leadership in Ashgabat has continued a perplexing economic strategy. The reliance on a production model exclusively based on extractive resources, and natural gas in particular, has dovetailed with the construction of lavish infrastructure projects such as the TAPI pipeline or the new Ashgabat airport — neither of which promise large profits. Despite a dwindling economic performance, the logic of regime survival continues to dominate Turkmenistan’s economic policy. subjugating improcrastinable economic reforms to the pragmatic priorities of a leadership that, since the collapse of the Soviet Union, understood non-transparent strategies of revenue management only in relation to f its drive for power preservation. The electoral campaign has predictably avoided any mention of economic hardship. The regime-imposed blackout on the country’s poor economic performance confirms once again that Berdymukhamedov and his associates have lost touch with the problems experienced by the wider population. 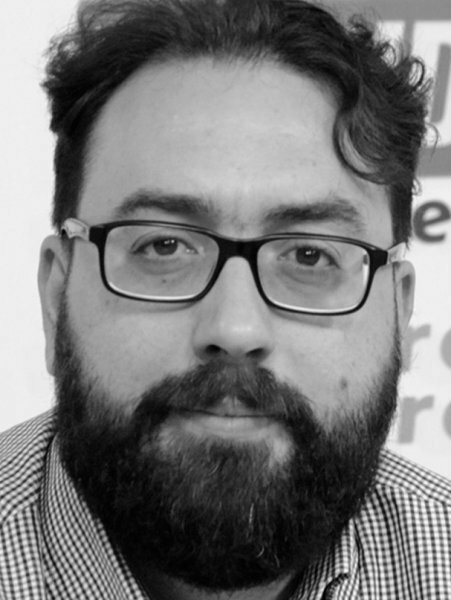 In neighbouring (and similarly authoritarian) Kazakhstan, the regime has often acknowledged the recent struggles experienced by the local economy and, interestingly, linked the decision to hold snap presidential election in 2015 with the necessity of confirming Nursultan Nazarbayev’s mandate during a turbulent economic time. Official confirmation of economic problems is unthinkable in Turkmenistan, where the official propaganda hails the supposedly extraordinary achievements of the Berdymukhamedov regime, which is said to have ushered in an era of unprecedented prosperity for ordinary Turkmen citizens. The most experienced Turkmenistan-watchers note that the economic crisis has indeed played an indirect role in the 2017 electoral campaign. President Berdymukhamedov has been campaigning extensively across Turkmenistan’s five provinces. Active campaigning is not a standard practice for Central Asia’s incumbents: Nazarbayev famously refused to participate in any official campaign initiative during the lead-up to the 2011 presidential election, which nevertheless concluded with a pro-Nazarbayev landslide. The region’s leaders hit the campaign trail only under special circumstances, as in Uzbekistan’s recent presidential elections, when the active campaign of interim president Shavkat Mirziyoyev was instrumental in cementing his popularity in the wake of Islam Karimov’s death. Oguz Khan presidential palace in Ashgabat, Turkmenistan. CC-by-SA-4.0: Wikimedia Commons. Some rights reserved. Berdymukhamedov’s electioneering represents in this sense an attempt to reconstruct some sort of pact between the regime and the Turkmen public. The termination of the subsidies program has inevitably changed how the wider population perceives and relates to the leadership in Ashgabat, although the regime’s tight control on the media has to date prevented external assessments of the real support that the regime enjoys while the economy tanks. Rather than engaging in short-term, and ultimately cosmetic, measures to engage with the population, the Turkmen leadership may have to consider a more sweeping range of reforms if it is serious about preserving its monopoly on power. The regime’s reliance on energy exports is becoming unsustainable, as China – currently Turkmenistan’s only gas customer – is trading volumes in exchange for the capital it loaned to finance the construction of the Central Asia-China gas pipeline. As little or no cash flow is reaching Turkmenistan’s coffers, a desperately needed diversification of the economy can no longer be postponed. Turkmenistan heads to the polls at a time when many international observers have already certified the failure of Berdymukhamedov’s authoritarian economic model. No “candidate” has advanced a platform calling for economic reforms, and given Turkmenistan’s authoritarian model, there’ll be no talk of them after the election. In other words, nothing is going to change when Berdymukhamedov is returned to office for another seven-year mandate. And that’s is precisely why Turkmenistan’s 2017 election matters: next week’s vote may be yet another missed opportunity in Turkmenistan’s disastrous path to economic collapse.